Welcome to February, everyone! February is Valentine’s Day and Go Red for Women’s Heart Health…the month is all about red! So with that in mind, I am styling red this week from my closet! Another thing to remember is Jester Red is one of the Pantone colors for Spring and Summer 2019…so be prepared to see more red throughout the warmer months. 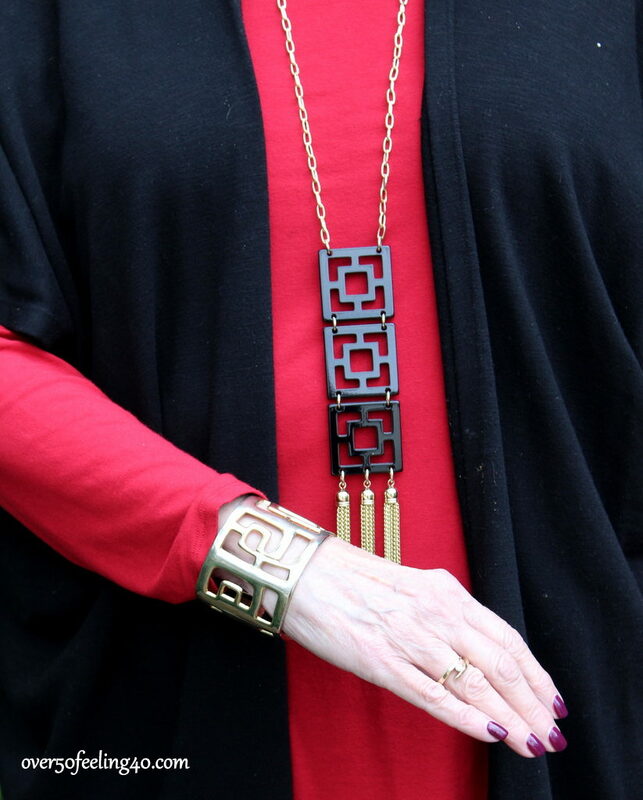 My first outfit is an Eileen Fisher red tunic; Soft Surroundings Snake Print Leggings; an Eileen Fisher topper; and jewelry with told and an oriental flair…the necklace is from one of my favorite boutiques, Andie & Barbara, and the bracelet from my favorite consignment shop, The Garment Exchange. 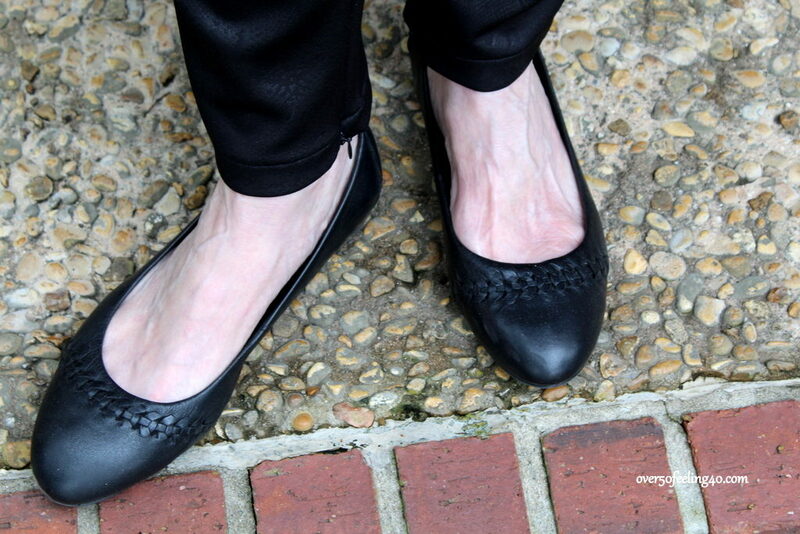 The Born ballet flats are a recent purchase from Dillards. I love the subtle snake print pattern…it is fun and fabulous close up, but really disappears and becomes a neutral far away. I can wear a look like this almost anywhere. I have a few similar pieces in the slide show below, but before that, I wanted to give you some ideas for Valentine’s Day (requests!) or purchases, so make your lists now! I will do this over my “red” posts this week! 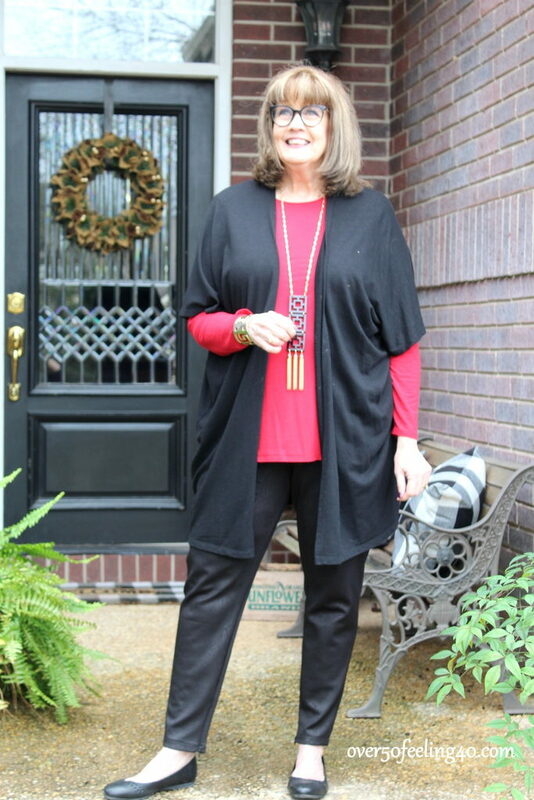 So, let’s start with my favorite new necklace from James Avery Artisan Jewelers! I have been wearing this everywhere…it is stunning. 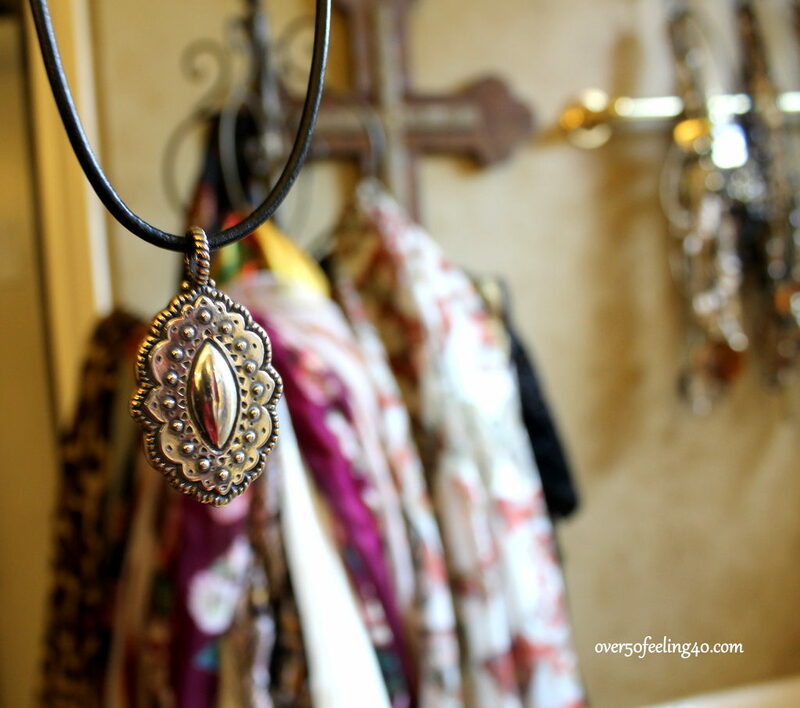 You would need the braided leather necklace, and the Marrakesh Pendant! I switch out James Avery Pendants, but this is by far my new favorite! There’s also a ring to go with it! 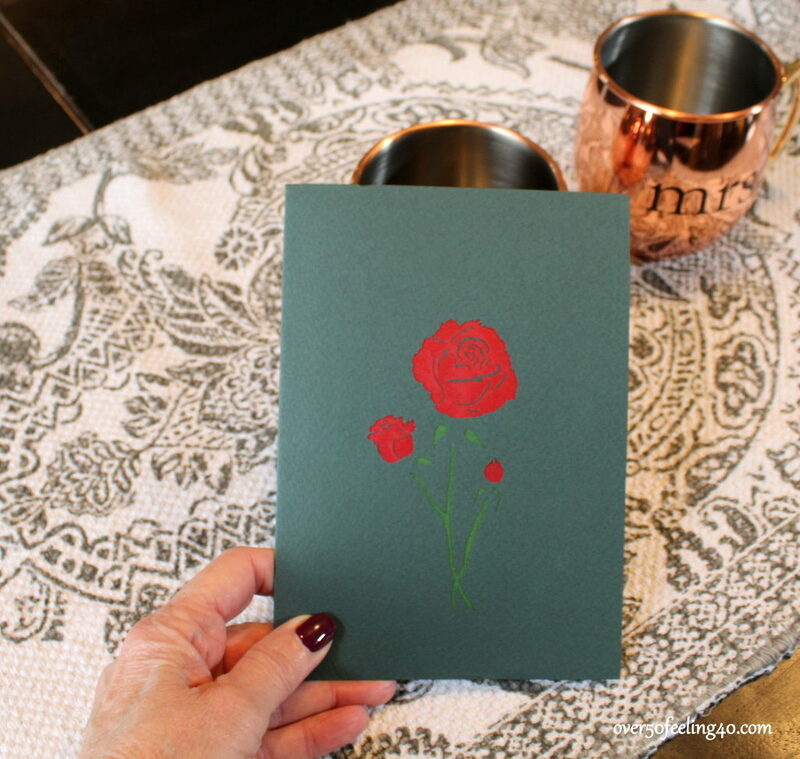 Love Pops make the fun cards that pop out to surprise the recipient and this red rose is one of the prettiest I have seen! Such a beauty. These cards are such high quality and fun to give. 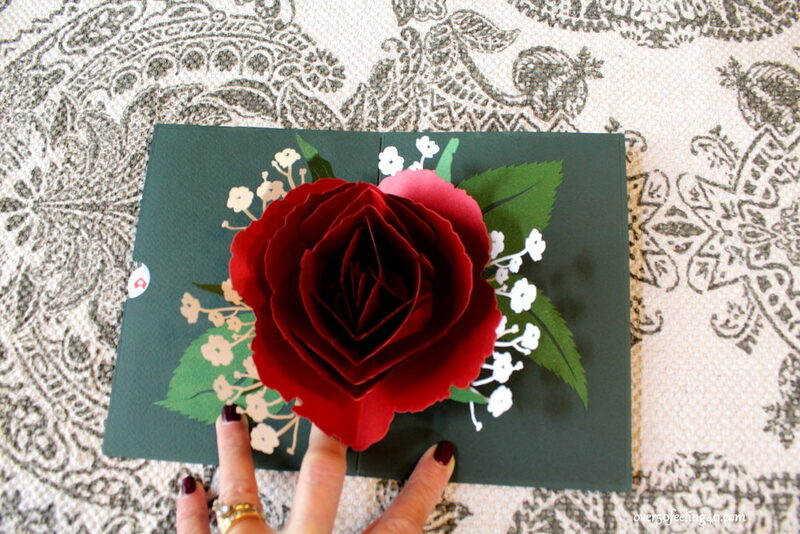 Check out the LOVE POP CARDS HERE. 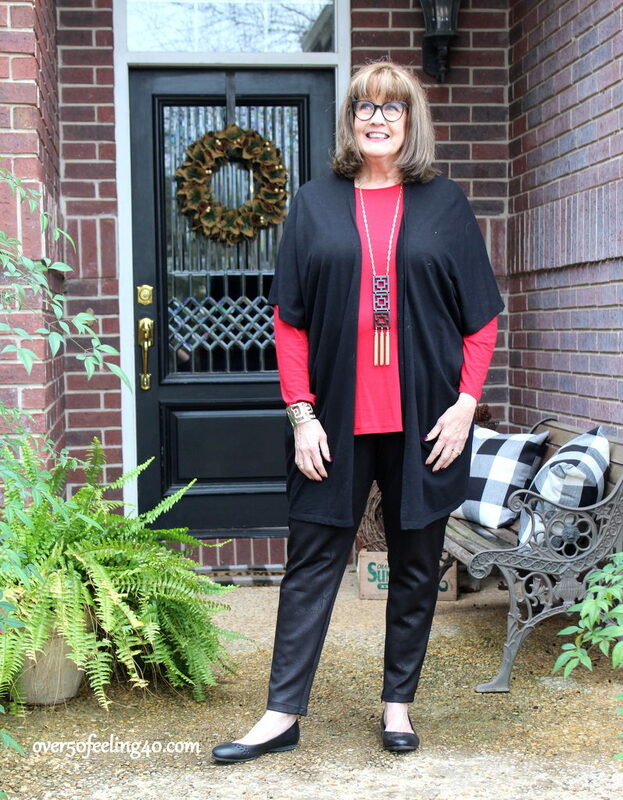 This week is all about RED…so I hope you will come back each day for styling ideas and fun. Do you have many red items in your closet? join in the conversation and please…………………………………………………………………………………………………………………………………………………………………………………………………………. Disclaimer: I was gifted a few items in this post for review, but the words are my own. So glad to see red as a color that we’ll be seeing for spring and summer! I love to wear red any time of year and honestly do need more of it in my warm weather wardrobe. I’m glad you chose to feature red! I always look forward to seeing your artsy jewelry! You have such interesting and wonderful pieces! Love the snake print pants! I agree, those are a neutral and lend themselves to a little subdued pattern mixing! Thanks Karen! I love these pants so much…I am so glad they are in my wardrobe. Happy Tuesday! I love red. I even have a red bra I wear with red tops. So many ladies on the blogs I read say they can wear only cool colors, but give me the warm ones! That is a beautiful shade in the EF top. I am with you Kay…bring on the warm colors! I have quite a bit of red in my closet. I have always been told it is a good color for me & have worn it for years. My high school colors were red & white, & as an Indiana University fan, I still like to show some school spirit. I love your red & black. It is always a great look. The jacket I wore last Friday for Go Red for Women Day was red with black accents. Go Team and Go Red….I love the Go Red events, Becky…such a great cause. Really nice outfit! And it looks comfy too, which is a big benefit. It is comfy…one of my favorite go to outfits and I also wear it with an EF purple top. Nice to see the red. I really don’t see too much of it except around Christmas. I have similar pants and I love them. The jewelry pulls it all together to finish the look!